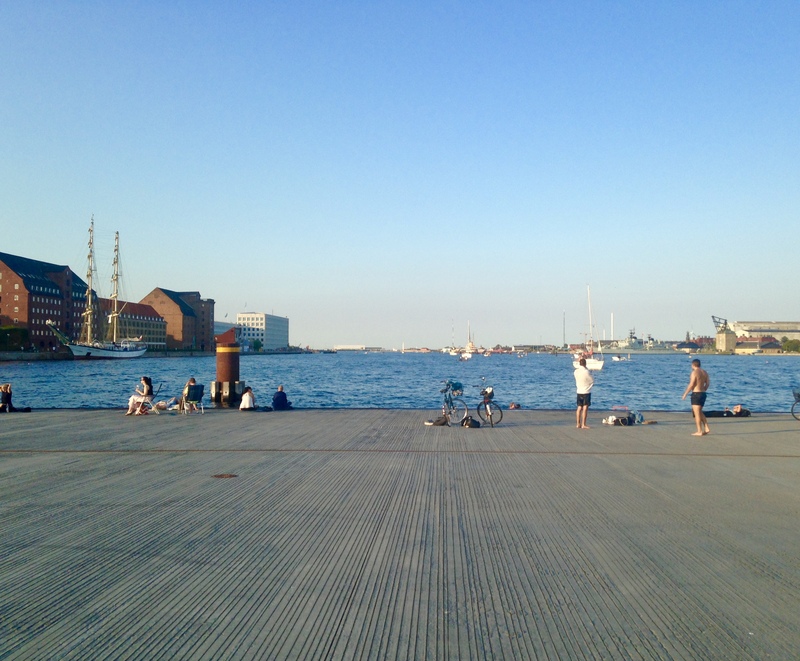 Finding respite in Copenhagen isn’t difficult, especially in the summer. This is a city that isn’t urban or high-rise, so it rarely feels overwhelming. 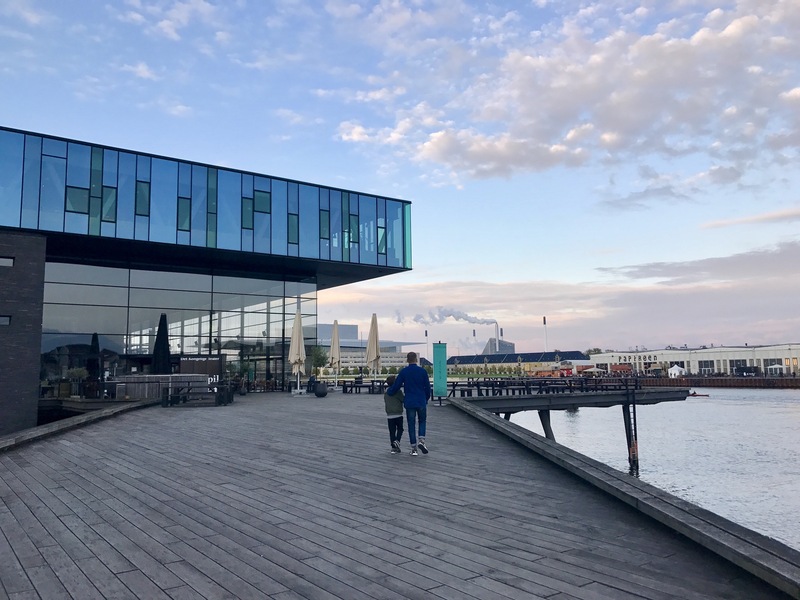 It’s the capital of a culture that places great weight both on the natural world and its maritime roots, which means that in Copenhagen you’re never far from water or from greenery. This is also a city that makes a determined shift outside as soon as the weather moves above 12 degrees, and at even the weakest ray of sunshine. Because of this, there is an abundance of benches everywhere. Here are some of our favourites places for finding respite in the city centre, which is where most visitors tend to spend most of their time. 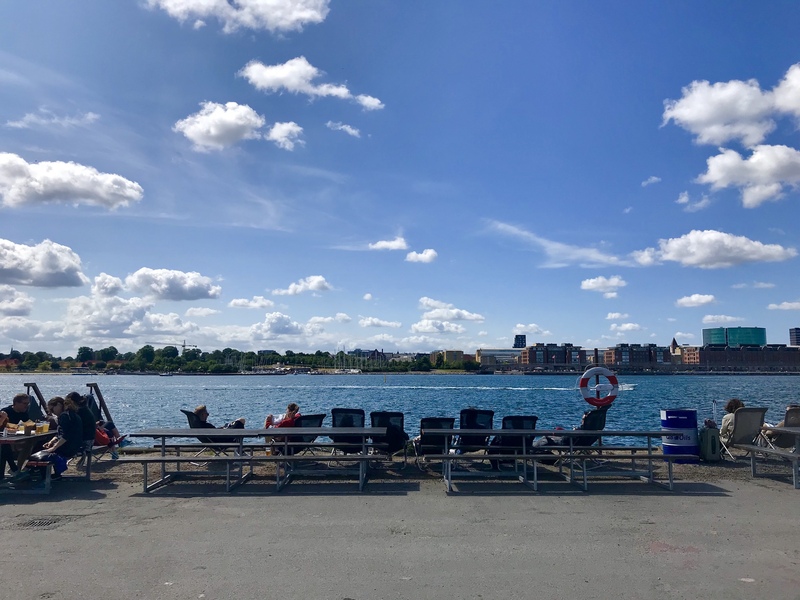 Everywhere along both sides of the water (which, due to its shape feels like a river), there are benches, steps and docksides where you can sit and dangle your legs with cold drinks from a kiosk (corner shop) or warm ones from a café. Perfectly placed in the middle of town, with ornamental borders, a café, a pretty fountain encircled by benches, and plenty of grass to stretch out on. A tiny, inventive urban playground with faux grass set in a little square off Strøget. 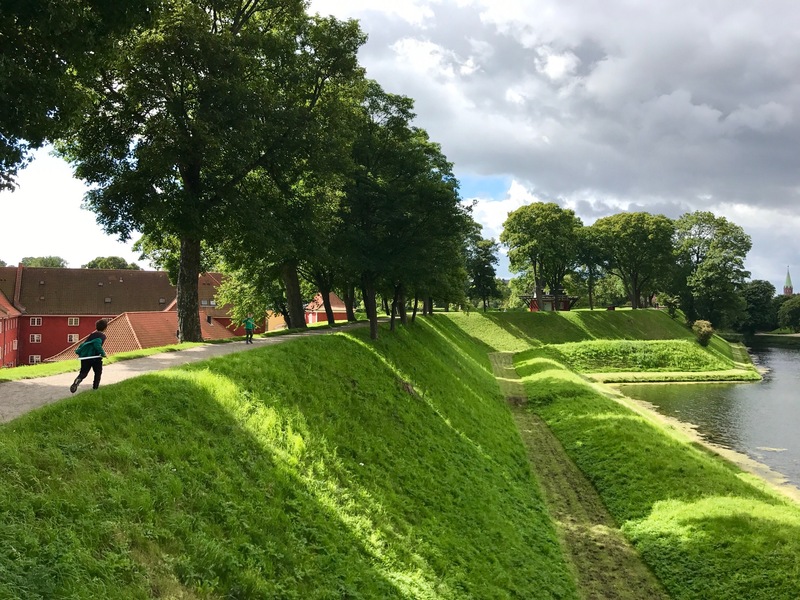 This is an easy stop right opposite Torvehallerne, landscaped with benches around its trees; deep, high steps for sitting on; and all the food and drink options you need right there. Pretty park set around a little lake, with plenty of spots to sit down and take a pause, plus two playgrounds. 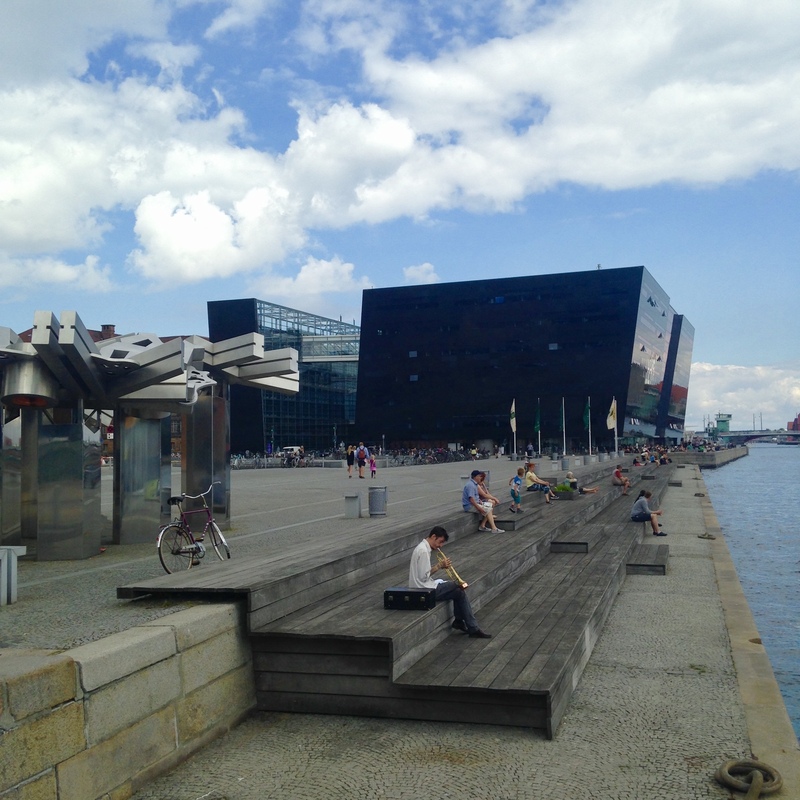 These manmade waterways are ringed in a sandy path that’s studded with benches and are THE place Copenhageners head for walk and talk or a sit whenever the sun peeps out. 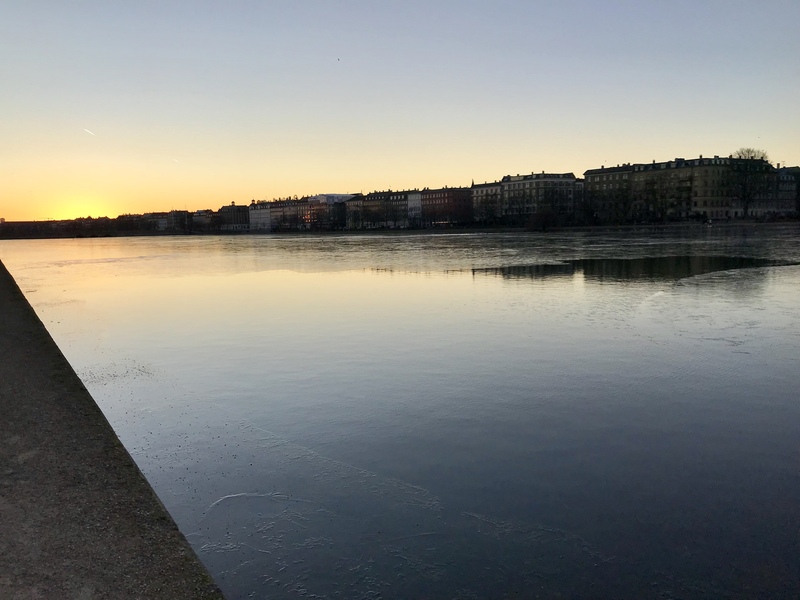 They stretch from Østerbro through København K, the bottom of Nørrebrogade, Frederiksberg and meet Vesterbro, so you can get to them fairly easily from wherever you’re staying. A lovely park right by Kongens Have, with a pretty ornamental lake, rockeries and a glasshouse. There’s a small (outdoor) café here too. A platform into the harbour, with benches and plenty of wide open space to sit. ‘The kissing steps’, which are deep wooden steps alongside Ofelia Plads, created for people to sit and linger on. A small, simple refurbished square in Frederikkstaden with a little playground and a couple of cafés. All within a stone’s throw of Ofelia Plads, the Skuespilhuset (the Royal Danish Playhouse) and Nyhavn. This pretty courtyard garden is a pocket of grass with tables from the café at the museum. You can be here without paying for entry to the museum. A place for a pause, this embracing square has a tiny playground right by it, as well a branch of Det Rene Brød for snacks and coffee. Set by the harbour, and with a windmill, moat and picturesque red-painted former army barracks, this is a beautiful place for a sit down on a bench. Note that you’re not allowed to walk on the grass. When ‘King Winter’ arrives, the way Copenhageners spend time in their city of course changes. This is when hygge ramps up to full effect, with people finding comfort in small moments of togetherness spent within the walls of their apartments. 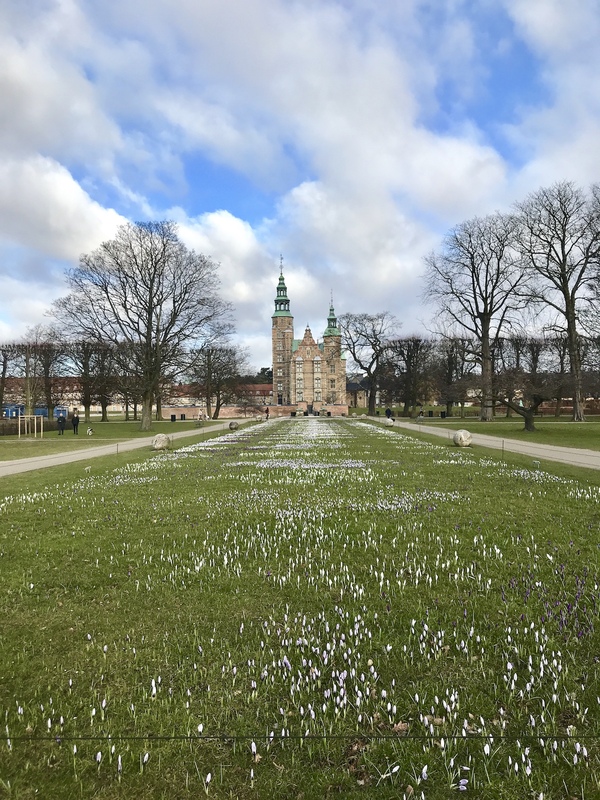 Until relatively recently, that meant the city outside of Danes’ homes felt deserted, but with the café culture booming and tourism keeping things ticking over year-round, this is less the case today. So for finding some respite in winter, when temperatures head well below zero and the wind whips up to Level Brutal, the onus is on indoor activities. The good thing is that distances are short, public transport it heated and regular and cafés are perfect for sitting in between sights. 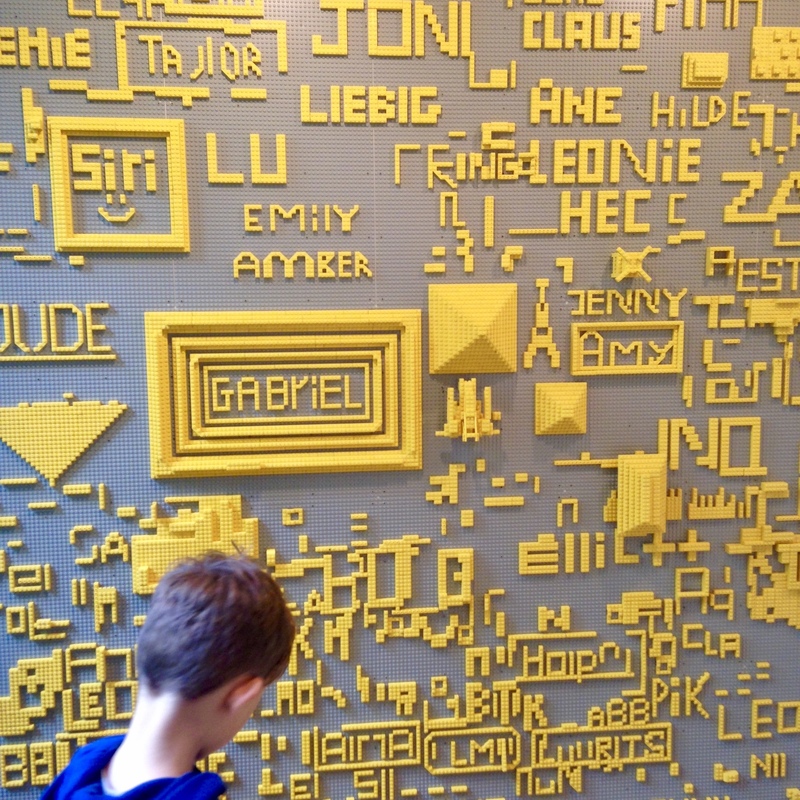 We find the museums to be places as good at providing peace as entertainment, with lovely cafés, space, quiet and children’s activities all blended together in one warm, dry space. Statens Museum for Kunst (the National Gallery of Denmark), Designmuseum Danmark and Nationalmuseet (The National Museum of Denmark) are all favourites with our family. Glyptoteket is very peaceful, with wall colours that are renowned for their ability to soothe; Thorvaldsens Museum, described as ‘heaven for art, colour and architecture lovers’ is also interesting yet calming, and hosts children’s activities; and Louisiana is as special and picturesque a place in the winter gloom as in the summer sunshine. The libraries are also good to head to for a break – the Black Diamond has plenty of space and seating, and the Central Main Library is quiet and well located in the heart of the city.